Is it about time you changed up the look of your hardwood floors? Fabulous Floors Cleveland has been restoring the beauty of homes in University Heights, OH for many years. Our friendly technicians have years of experience in the hardwood flooring industry and are also trained to provide excellent customer service. We will treat your home with the respect it deserves and will do everything we can to ensure you have the best experience with Fabulous Floors Cleveland. If you live in University Heights or the surrounding areas, make sure to call us today! Our friendly staff can answer any questions about our services and offer you a free estimate. Don’t settle for less, you can have the beautiful hardwood floors you’ve always dreamed of! The Fabulous Floors name is known and trusted in University Heights and the surrounding areas. 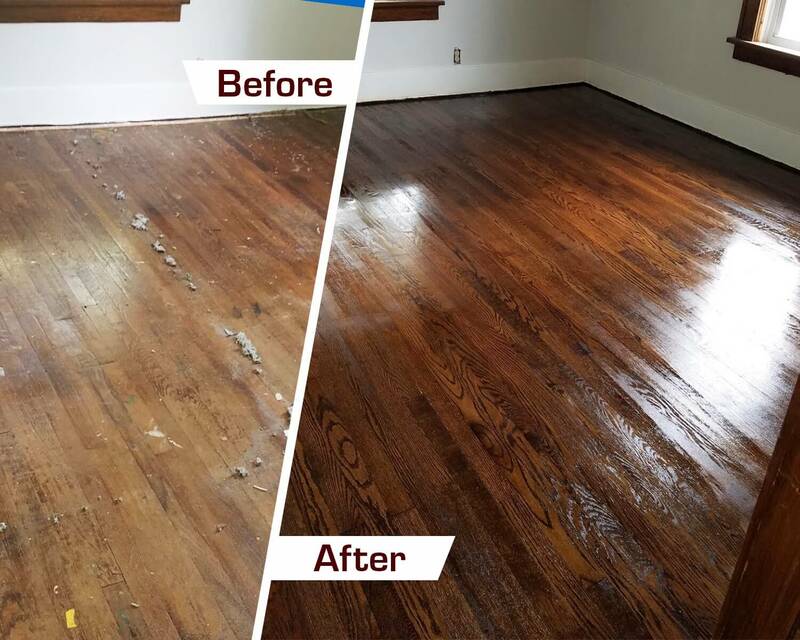 We’ve been around for years and as a result, have developed the most effective hardwood floor refinishing process. We start by removing any carpet that may be covering your hardwood floors. We then use our powerful sanding machine to sand away scratches or dings that may be present in the hardwood. Our sanding process produces less dust than any other method in the industry, which is sure to please you and your family. We’ll then stain the wood with the color of your choice. We have a wide selection of stains so you’re sure to find one that is the perfect fit for your home. Finally, we seal your floors with a polyurethane finish to add shine and protection to your hardwood floors.